On this, the most sacred day of the Other Crap calendar, we honor the man who has given the world more bad acting, bad singing and “other crap” than anyone in history. 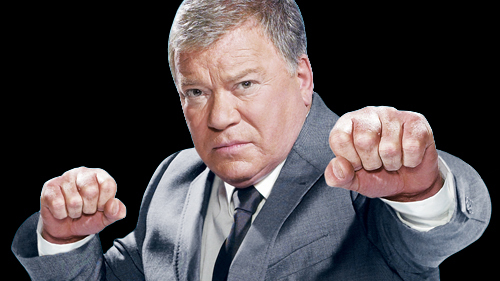 Here’s wishing you and yours a joyous Bill Shatner Birthday. Merry Shatmas to all, and to all a good night. And to you, Bill Shatner, if you read this or even if you don’t, may you live in good health forever! A legend walks amongst us. We are not worthy. He’s gonna be in Kansas City next weekend at Planet Comicon. I’ll see if I can stop by and say hi.